Titanium and Wood Ring. Handmade by one artist. Wood shown is a maple wood. Other woods are available upon request. 2-15 sizes available custom widths available Each ring is sealed with a protective epoxy to help protect against water and detergents. This sealant also offers a nice glossy shine. 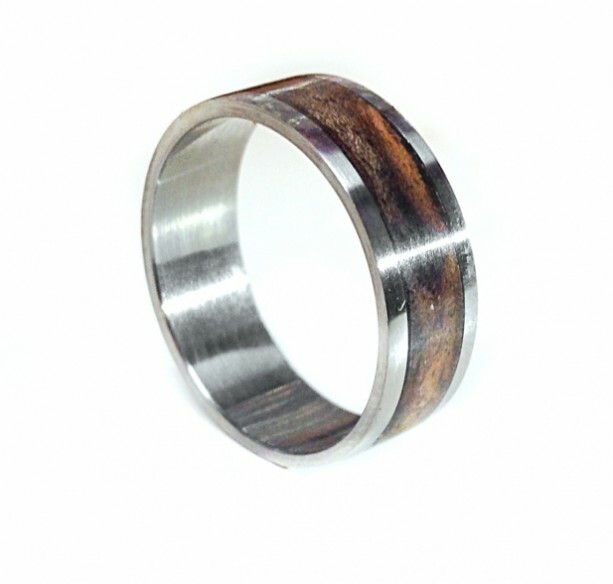 Titanium rings provide durability and strength while still maintaining an organic look with the wood inlay. Please be sure of size before ordering as Titanium rings cannot be resized. Feel free to message me with any questions.